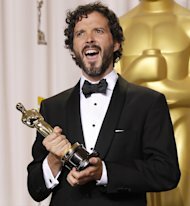 LOS ANGELES (AP) — There will be more songs vying for Oscars at next year’s Academy Awards. The motion picture academy said Thursday that there will be a minimum of five nominees in the original song category at next year’s ceremony. The Academy of Motion Picture Arts and Sciences says that the five nominated songs receiving the highest number of votes from music branch members will be up for the final award. The voting process previously only allowed songs that earned an average score to be nominated. Only two songs were nominated for the trophy earlier this year for the first time in Oscar history, with “Man or Muppet” from The Muppets winning the prize. The 85th annual Academy Awards will be presented Feb. 24, 2013, at the Dolby Theatre in Hollywood.